How This Company Began This company actually started in New York, led by Harold Mertz, an individual that did door-to-door magazine subscriptions and sales. To motivate people to purchase subscriptions, he decided to add a sweepstakes to his sales pitch, which has worked out very well for this company. Today, these advertisements can be seen on the television, and people receive mail every year, allowing them to subscribe to the different magazines for a chance to win. It is not going to help your odds of winning if you do subscribe, however most people do believing that it will increase their odds of becoming the next millionaire. Over the years they became a multi-platform of entertainment with games and sweepstakes. If you do and up receiving letters that are actually confirming that you are in the final stages and that the probability of winning may actually be in your favor, you should consider purchasing new clothing, perhaps doing your hair, if you know the basic time. In which they might show up. You never know if luck is on your side, and by getting prepared in this way, the worst that can happen is that you will have new close, a great hairdo, and a very positive mental attitude that won’t be affected in the event that the PCH Prize Patrol does not come to your door. You should always participate with an attitude of having fun, and looking forward to the potential that you will be the big winner, absent any possibility of becoming depressed if you don’t. It is only with this attitude that you will absolutely look your best if they do show up at your door one day with that multi million dollar check. Good morning dear PCH. The winning selection Day is coming soon. I’m praying to receive this blessing. If it’s God wishes.. I will be grateful. Thanks PCH. I don’t believe you could ever be prepared for the price Patrol it would be such a surprise I wish it can happen to me! I don’t think anyone can be ready for the prize PATROL is such a surprise how do you prepare for that I wish it happened to me! Prize Patrol “PCH” when you knock on my door, then everyone will see the million dollar smile that people say I have! I will do a little dance & sing a song! and would just celebrate for the rest of my life. I’m waiting for that knock knock on my door. My hair is done. Dressed nicely everyday and waiting patiently with excitement. My daughter graduates from college on Monday May 7, and the family is here for the celebration. I would use the money to pay off all 3 of my daughters college loans and build my father a new home in PR because he is a hurricane Maria victim and he lost everything so I would love to make him whole again. He is here with me very depressed because he just wants to go home. Please grant me the money so I can make his dream come true. He is 84 years old and may not have much longer to live. Also as the police dispatcher on Sept 11, 2001 and now retired disabled from a heart attack I would love to travel the world now. Thank you again. Been with you folks for years. But time is slipping away and it would be nice to win something. Anyway, hope to see you soon and have a Merry Christmas. I love pch .I only wished I could win it would be a blessing to my life. Yes I will get new clothes and fix my hair. I’m Claiming that pchs will deliver the surprise to Akron Ohio by the prize PATROL, I Darcel Zuller VIP gwys 6900, would love to say that pchs game are fun and I have high hope’s that The computer chooses me, and I will be smart and wise if it dose happens it should would tune my world around , I would be able too pay my bills and if they chooses me, I would give to the needy, and just breath and have fun vacation new cloths dinner with the big check and balloons, I will say thank you loud for alouding me to ha e a lifetime change for the better. I sure would put it to a good use. I hope to be ready but if not I’ll be ready!! I would like to claim sole ownership and full eligibility for the Prize GWY No.8800 will u please deposit my prize number into the WINNERS Selection List for $1,000.00 A day for life thank u PCH ! I want to win to get my hubby to the Statue of Liberty. He said to me a few years ago he would like to go. I have been giving our extra money to help others until he said this, but it is going to cost I don’t know but a lot of money to go to New York. I don’t even know how to get hold of a person who can drive us to the Empire State Building after the Statue of Liberty. Well if we get to go to the Statue of Liberty and have to comes home that would be ok. But sure thinking if we could get to New York maybe we would like to see the Empire State Building too. Oh well I keep signing in in hopes that I will win. My hubby is a good guy. He is a Marine and still getting along pretty good. I was so afraid when he was gone overseas. He was taken away shortly after we got married and boy did I watch the news am, afternoon, and PM. Well what I am trying to say is I surely would love to win to do this for him. No I’m not doing for me I an really wanting to do it for him. Oh golly I not good at writing so better just go. Hi: I would love to see & win this PCH Prize Patrol coming into my driveway with the big check in hand made out to Richard A Epstein. This would be the greatest moment of my life. Please come to my house and celebrate with me!! Wooohoo, winning would be the single most important thing that has ever happened to me and to my family so excited for this day of Summer Super Prize $15,000,000.00 Thank you PCH for this wonderful opportunity . see you soon. I have been playing the PCH games for years. As of last June, it was 37.5 years of trying to win. Nothing yet. My family tells me to give up, and one day I will only because there will not be a computer hooked up inside my casket. Until then, I will keep trying to get my balloons. PCH maybe the prize patrol needs a new GPS, they still haven’t found my house, guys I’m getting sun burn, sitting outside waiting for you guys. I am hoping that one day soon you will be knocking on my door, I think everyone around me is tied of me saying you will see one of these day’s they will visit me. Winning the $15 Million would Help My Family out of debt, set up College Funds for My Grandkids, and give my wife & I the opportunity to Travel, something we’ve “put off” in order to give our children a helping hand in Today’s Rough Economy… I’d Actually Welcome ANY Prize, the $5K weekly, Anything, Really….. I would love to see the prize Patrol at my front door I would be so happy and probably the most greatest thing that ever happened to me in my life. I Maravic De Jesus dreaming to become a winner, I would love to and if I will be the lucky one I will be the happiest person. I believe if it’s meant to be it happens . I really need to win and I don’t know when, but I’m sure one day I will. Hopefully I’m the only winner of Win it all. I would love to see this exciting moments from the Prize Patrol. Ready to celebrate with the big check with my name as Richard A. Epstein on it , along with the monthly check and lastly the new vehicle. THANK YOU FOR THIS OPPORTUNITY TO BRING THIS FOR THE BETTER IN THE EPSTEIN FAMILY ON JUNE 30, 2017. 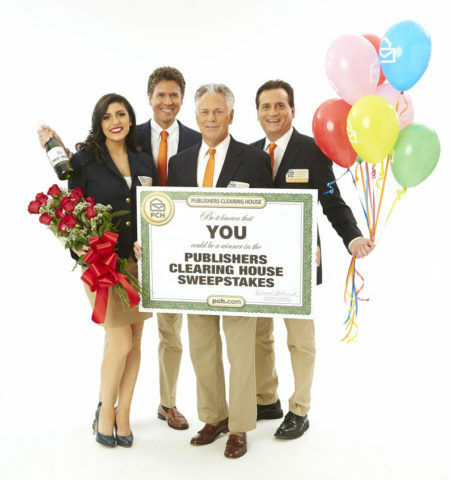 I would like to have the honor of receiving the pch prize patrol in my home. It is the reason why I play everyday at any time, even taking time out of sleep. The most important motivation to play and win is based on solving essential life’s needs.Only people facing the hardest side of life are able to understand what making true this dream means.❤ Thank you, PCH.God bless us. I Lonia McKinley declare herein, CLAIM SOLE OWNERSHIP”-fully eligible for every entry opportunities in this Sweepstakes, Bulletin/Promotion entries in this Bulletin notice to become the ONLY Winner of PCH “WIN IT ALL”-2017 SuperPrize Event June 30th, $2 Million Lump Sum Payout Dream Life Sweepstakes, $10,000 A Month For Life, a Brand New Lincoln MKZ valued over $47,595 GWY NO (8800/8186). *I Lonia McKinley declare herein, CLAIM SOLE OWNER for fully eligible to become the ONLY Winner of “PCH WIN IT ALL” Dream Life Prize Sweepstakes PCH Promotion Numbers (8800,8035,8186,8187,6900) fully eligible to Win $1 Million from the Second Chance Drawing on June 30th from PCH GWY Numbers (8800/6900) to Win. *I Lonia McKinley declare herein, “CLAIM SOLE OWNERSHIP” fully eligible for the PCH Prize Patrol deliver that BIG CHECK in Lonia McKinley in San Antonio Texas, 78218 on June 30th. Thank you PCH Sweepstakes Contest Officials. Like everyone that has been playing PCH for so long. The money to pay off bills and purchase the things we need without financial obligation. My husband & I would are retirement age. He is still working because we need the money and insurance coverage. I want to win this money to give my husband a break and not to worry. I want to travel and enjoy each other, with Freedom! I would love to win PCH . Especially the $2 Million up front , the brand new Lincoln MKZ , and $10,000 a month for life That would be nice . I would to see the prize patrol drive up to my home, so I could go out ton receive All the items and be able to give them to my husband and family!! Time here are tough so it would be a relief and very exciting to all of us in our time of need!! That certainly would be a wonderful experience for me since I have MS!! What a treat to my family and me!! Please help me receive it ALL!! I would love for the PCH to show up on my door step with a huge check with my name on it, saying I am the next winner for the June 30, 2017 event. a true dream in our lives. Not only want to see Pch Prize Patrol but I Love ❤️ it too, but most of it I really need it. Hoping that 1 day they were on my door knocking to bring my prize. Thanks a lot in advance, I really feel like I’m the next winner. I expect to see the Prize Patrol at my home. I can see the Van, I can smell the flowers, and I can smile for the camera. I see the huge check and I plan to make the dreams come true of many people in need. My favorite is a little lady named Betty who still works in her 70;s at Giant Eagle in Uniontown, Pa . I ‘ve told her that when I win the prize I will come to Giant Eagle to pick her up, I’ll buy her a convenient house, a new car with driver since she’s elderly and she’ll never have to work another day in her life. And I don’t even know her last name. Just know I want to bless her and others to make their lives a little easier. That’s what I’ll do with my winnings. Spread it around to others. I hope my wish come true to see the prize patrol out to my door with flowers and balloons and Champagne in June 30th. Thank you. My arms are open, you know,, just in case. Here’s t to all who enter. Here’s to you,& here’s to me,& may we never disagree, but if we do, to heck with you, And Here’s To Me. Bring it on to momma!!! Let it be me. I am deserving that is for sure. I’ve always been a great person everyone will say so. Let it be me. Everyone wishes to be the WINNER – if I win there will be a lot of happy people because I already have a list of family, friends, and charities I plan to give to. Of course I will pay my bills first but so many people need so many things and with the big win I could help everyone on my list. Wish me luck. I really love to win. Help me. My mom may have to go into a nursing home and I am just in this to win money to buy a stable home for my sick mom, she has been sick since my father died of cancer ,and my sick brother ,as well as my 10 year old son who has bad allergies to mold …so we need a mold free and stable home. Every time I have had to rent a single family home since my dad passed away trying to buy me a home and passed away from cancer the day that we were going to sign power of attorney over to me ,I have rented from people who have a financial goal in their agenda and I have had to move so many times since. I had a very stable childhood and never had to move so much …i just want the same for my child. I pray I can just buy a small home. One that every one in need can come to find solice and comfort. I forgive the greedy selfish people who use people to get their dreams accomplished …but please be the key to providing me the tools to forget about the tradgedy that consumes my mother . A dream come true,what would I do overwhelemed, so excited jumpin for joy, thankin god, and knowing my prayers were answered,never stopped,kept going,faith,luck,believing in my self,and thankful to the PCH Prize Patrol,and people in PCH Admin, and all of the many people, who have entered in 2017. I would welcome any prize,whether i0 million, 1million, 50,000, The 7,000.00 a week for life 8800, 8035, 9207,etc a dream car lincon mkz. I would be very honored,to meet the elite Prize Patrol @ my door, I WILL SING,DANCE, SMILE IN,THE HAPPYESTNHUMAN BEING IN THE WORLD. I would help the less fotunate,to give them joy.peace,happiness. Remember Believe,this could be you?I had bad luck.and some good luck,whatever is to be I will be happy,thankful to win, have entries all in. god bless PCH,and all the people like my self who entered,GOOD LUCK,PEACE,JOY,AND WEALTH. Thanks Rita Exizian. REALLY, WISHING, WAITING AND HOPEING, IT’S MY TURN, TO WIN, I’AM 65 THIS YEAR, AND I BEEN A MEMBER SINCE 2009, AND WORKED VERY HARD FOR THIS CHANCE, WITH GOD ALL THINGS ARE POSSIBLE, AND I DO HAVE A CHANCE, I WORK AND STRUGGLE ALL MY LIFE, I JUST WANT TO BE COMFORABLE FOR MY TIME LEFT, GOD BLESS TO ALL AND GOOD LUCK TO ALL. Waiting for you guys, hurry! NeW pAiR of ChAklas (shoes) ! I would love for the PCH to show up on my door step wit a big huge check wit my name on it saying iam the next big superprize winner for February 24,2017 it would make a big difference on my 3 kids n me tha r always my family. I would be just as surprised looking good as bad. Been doing this since 1977. I will never give up. THANK YOU FOR THE OPPORTUNITY TO PERHAPS BRING A BETTER LIFE FOR MY FAMILY.